I am another one of those guys that wanted to get into radio as a kid. I grew up in Jacksonville, Florida with great radio all around me, including one of the legendary stations the 60’s and the 70’s, WAPE – The Big Ape! If you lived along the southeastern coast of the United States, you heard that 50,000 watt powerhouse. I dreamed every day about spinning 45’s on the air and having everyone groove to my tunes. But it was just a dream. At least back then it was. After high school, I attended the University of South Carolina, in Columbia. To my amazement there was a university radio station on campus, WUSC! 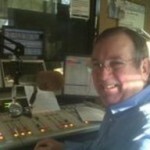 I got a chance to do it all there, DJ, News Reader, Program Director, Chief Announcer, music director and Chief Engineer. I really got into the experience. There was a great bunch of students there and many of them got jobs at local commercial radio stations. I was one of the lucky ones. I was hired as a DJ at WCOS – AM/FM. The highlight of my time there was doing the “Nightbeat Show” live from a small radio booth at a local drive in restaurant right in the middle of the action. The disk jockeys also got a chance to be on stage with some really big names in music; Sam the Sham, Peaches and Herb, James Brown, Bob Segar, and Jimmy Rogers just to name a few. There were also a lot of local and regional bands, The Sensational Epics, The Ventrelles and the Band of Oz. Wow I was in heaven! It was the best job that I ever had, but eventually I drifted to the technical side working in local radio and television stations occasionally doing air shifts. I finally left broadcasting for a while in 1999 but I still missed being that guy on the radio, playing records and making people happy. Radio went to corporate America but the creative side of broadcasting went somewhere else, the Internet. I got back internet radio in 2007 and have been going strong ever since. My shows are multi – genre and cross the years from the 1950’s to the present day. You can never tell what you might hear. By the way, there is one music genre that I sample a lot on my shows. If you are a fan of Carolina Beach Music – I mean dancing the shag with sand in your shoes, wearing Bass Weejuns, Madras Shirts and Gantt Pants with a buckle on the back, and listening to music with a trumpet playing band, get your Weejuns on and tune in! If you are into Blues and Soul and live in Columbia South Carolina, I have returned to the local airwaves. I have a show on WUSC – FM, 90.5 Monday mornings from 10 AM until Noon Eastern time as well. One of the features of this show is a live interview with one of the classic blues or soul performers; such as Johnny Mason of the Clovers, Maurice Williams of the Zodiacs or Billy Scott of the Prophets. It is so good to be back to doing the thing that got me started.